Wondering what it’s like to join the JLM? Check this out! 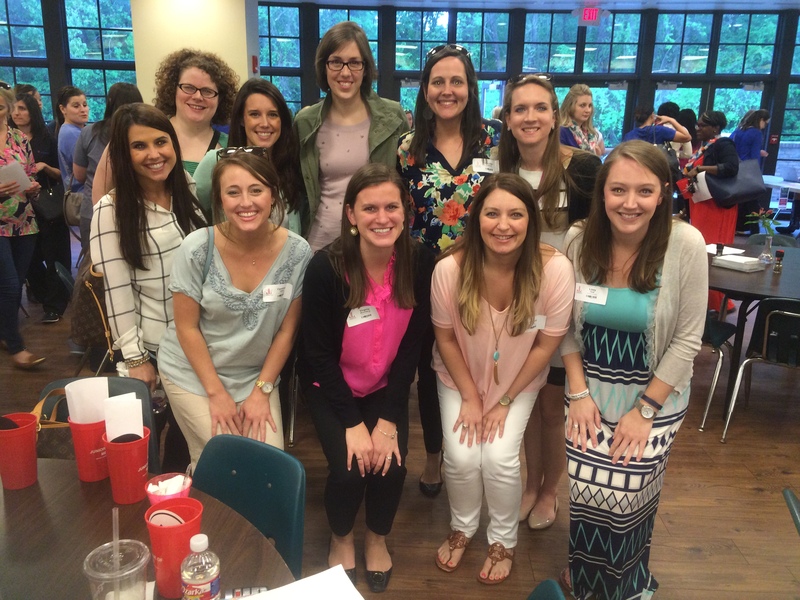 I can’t believe it has been almost a year since I first joined the Junior League of Memphis. Time has flown by in what seems like the blink of an eye. I remember my first meeting at the Levitt Shell where I was completely overwhelmed by just the sheer size of the group. There I was, standing at the top of the hill, looking at what seemed to be hundreds of people. I thought to myself, where do I begin? The massive crowd was almost over-whelming. I wanted to just turn around and run!! However, I was lucky enough to sit down with a small group of ladies that welcomed me right away. These ladies made me feel right at home and I began to realize that I was definitely in the right place. I even knew one of them because she is my dog’s vet!! This was just the beginning of many wonderful relationships I would soon form with other members. The ladies that I have met thus far have made so many lasting impressions on me. Specifically, my provisional group, are clearly individuals that I can see myself having relationships with for the rest of my life. We’ve had fantastic dinners and had a wonderful Christmas party together. We even had a Paint Party that was an absolute blast!! These are great women and I’m proud to be in an organization that allows us to all come together. In my first year, I wanted to dive right in as much as I could. I became actively involved with several events. I participated in the Bridal Show and Character Breakfast. I was fortunate enough to be asked to chair the logistics for the Junior League 5K coming up on May 9th. Exposure to such events has really opened my eyes on what an impact this organization can have on the city that I live in. There are only a select few organizations in Memphis that has the ability to do this for the community. I am so proud to be a member and actively involved in one of them. Personally, I think the upcoming year is going to be even more exciting and I can’t wait to get started!! I will be the Retail Development Chair!! I can’t believe I’m going into a leadership position already. I think to myself, what an honor!! I’m completely humbled to be given such a challenge to not only better myself, but get the chance to help better the community I live in. I completely understand our theme for this year; “Transform Me, Transform Memphis.” I look back and think about how I’ve transformed into a better citizen of the community. I’m excited to help transform Memphis into a better community and overall better place to live for everyone.